The Jews of Khazaria chronicles the history of the Khazars, a people who, in the early Middle Ages, founded a large empire in eastern Europe (located in present-day Ukraine and Russia). The Khazars played a pivotal role in world history. Khazaria was one of the largest-sized political formations of its time, an economic and cultural superpower connected to several important trade routes. It was especially notable for its religious tolerance, and in the 9th century, a large portion of the royal family converted to Judaism. Many of the nobles and commoners did likewise shortly thereafter. After their conversion, the Khazars were ruled by a succession of Jewish kings that began to adopt the hallmarks of Jewish civilization, including the Torah and Talmud, the Hebrew script, and the observance of Jewish holidays. 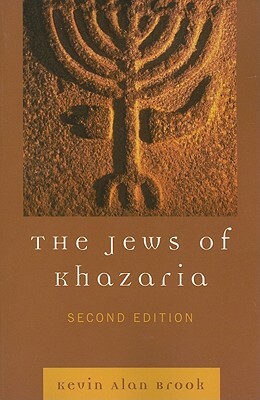 In this thoroughly revised edition of a modern classic, The Jews of Khazaria explores many exciting new discoveries about the Khazars' religious life, economy, military, government, and culture. It builds upon new studies of the Khazars, evaluating and incorporating recent theories, along with new documentary and archaeological findings. The book gives a comprehensive accounting of the cities, towns, and fortresses of Khazaria, and features a timeline summarizing key events in Khazar history. Kevin Alan Brook is an historian who has researched the Khazars since 1993. He has contributed articles about the Khazars to The Encyclopaedia of Judaism Second Edition (Brill, 2005) and The Turks Vol. 1 (Yeni Turkiye, 2002). Since 1995, Brook has maintained the website of the American Center of Khazar Studies (Khazaria.com).